“The first duty of every Starfleet officer is to the truth!” Picard said those eleven words to Wesley Crusher in season five of TNG, but for me those were words I’d already been living by for a quarter century. I don’t hate much in my life, but I do hate lies. It’s one of the reasons I call out Axanar detractors when they make up provable falsehoods and why I publicly correct even my own readers when they say things like James Cawley used crowd-funded donations to build his TOS sets (he didn’t). So what do I think about MIDNIGHT’S EDGE? I will admit to only watching the videos they’ve made covering the behind-the-scenes “ugliness” of Star Trek: Discovery. And as I said, the quality of their graphics, sound, background music, transitions, and the organization of information is extremely good. I’m never bored and usually am quite engrossed for the entire extent of these 20-to-30 minute long videos. And that’s probably part of the reason these folks typically get views in the tens or even hundreds of thousands (occasionally even cracking a million!). 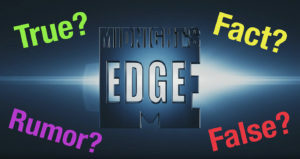 But every time I watch an episode ofMidnight’s Edge, I have to stop and ask myself: “Is this really going on?” I mean, it’s usually so JUICY—the intrigue, the back-biting, the incompetence, the panic at CBS!—that a cynical part of me certainly wants it to be true. Those with a passionate dislike for CBS and Discovery will likely get an emotional rush of satisfaction to see things unraveling behind the scenes at All Access as the house of cards appears to be crashing down. But is it all, in fact, true…or are fans being duped? SMALL ACCESS is now FAN FILM FORUM! I’d expected to leave the poll up for a few days, but after less than 24 hours, the vote was 102-to-3 in favor of focusing on Fan Films. I doubt another day or four would have made much of a difference. Many comments mentioned that there was already a Discovery group, and the show would either succeed or fail without another Facebook group either supporting or resisting it. Fan Films, however, deserved a wider following and more support. So “Fan Film…Something” it would be! 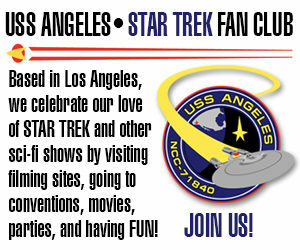 The visual tie-in between the Facebook group and this blog site makes sense. Aside from the fact that the same guy (yours truly) runs them both, there’s also the fact the Fan Film Factor is currently the #1 blog site focusing on Star Trek fan films. (This site gets more web traffic than the other two.) So why not have a tie-in, right? So let’s welcome FAN FILM FORUM to the world of Facebook groups. If you never joined Small Access but you love Fan Films, then I invite you to click here and become of a part of the fun at Fan Film Forum. Author Jonathan LanePosted on August 29, 2017 August 29, 2017 Categories Editorials, NewsTags Fan Film Forum, Project Small Access9 Comments on SMALL ACCESS is now FAN FILM FORUM!